Write five rational numbers greater than 2. 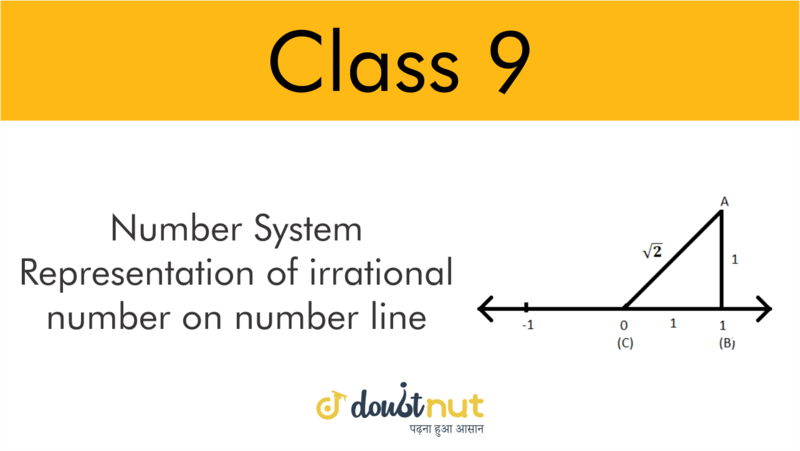 Doubtnut presents to you fully-solved NCERT Solutions for Class 8 Maths from Chapter 1 Rational Numbers to Chapter 16 Playing with Numbers. Find here most detailed, accurate and free solutions for NCERT Solutions for Class 8 Maths. The CBSE Class 8 Math Solutions cover all the sixteen chapters of your textbook. All the chapters are fully solved with well-organized exercise wise solutions, prepared by India’s top-notch mathematicians. The video tutorials are in a step-by-step format for an easy understanding of students. For the ease of your learning, the given NCERT solutions are in PDF and video tutorial format. You can study online with videos at any time and at any place. If you wish to study offline you can download the PDFs. Check out the links given below. The NCERT Maths Class 8 Solutions cover all the sixteen chapters of your textbook. These include all the questions provided in the NCERT class 8 maths book and as per the latest CBSE syllabus and curriculum. The Class 8 Math Solution are designed to help the students study math without facing hardship. Every question has its own detailed explanations to make understanding of formulas and concepts applied an easy task. Go to the links given below to get started with chapter-wise NCERT Maths Solutions for Class 8. Along with the NCERT solution videos, the PDF format of Class 8 NCERT Solutions is also provided here. You can download the PDFs to study offline. The NCERT Class 8 Maths Solutions pdf are designed by our examination experts for your reference to solve math problems efficiently. Simply click on the chapter links to practice the exercises given at the end of every chapter. Solving NCERT PDF Solutions and exemplar solutions will help the students to gain comprehensive knowledge. It will help you to score good marks in the school and board exams. A number that can be written as a ratio is a rational number. A rational number can be represented by dividing the two integers. Example: 2/5 is a rational number (2 divided by 5, or the ratio of 2 to 5), 0.4 is a rational number (7/4) is a rational number, 5 is a rational number (5/1), 3.21 is a rational number (321/100), −3.7 is a rational number (−37/10). Also, all the numbers that cannot be divided are the irrational numbers, for instance π = 3.141592. A Linear Equation is an equation of a straight line, written in one variable. It is one of the most interesting topics of Algebra. In this chapter, you'll learn some amazing tips and tricks solving Linear Equations in One Variable. The video tutorials talk about the smart techniques of balancing the two expressions on both sides of the equal sign. The Practical Geometry NCERT book solutions are provided here to help you understand the concepts accurately. In NCERT Maths Chapter 4 Practical Geometry you’ll be introduced to the Quadrilaterals, Construction of Quadrilaterals and some special cases. The Practical Geometry is one of the most crucial topics that will also get repeated in your higher standard like 10th and 12th class. Therefore it is essential for you to learn chapter effectively. The NCERT Class 8 Chapter 5 Data Handling talks about the forms of data, their organisation and management in a systematic manner. In this chapter, you'll learn some most important topics such as Looking for Information, Organizing Data, Grouping Data, Bars with a difference, Circle Graph or Pie Chart, Drawing pie charts, Chance and Probability. Video tutorials present complete solved exercises and solved examples of this chapter to help the students to master the topic. To square a number you simply need to multiply it by itself, but there is more it. This chapter is all about Square and Square Roots. With the in-depth knowledge of this chapter, you will be enriched with logical thinking capabilities and problem-solving skills. You need to learn and understand this topic well in order to understand other topics of maths as well. This topic is just a building block for various other topics such as a 2nd-degree equation, Pythagorean theorem, fractional exponents and real numbers. To cube any number, just multiply it three times to itself and product obtained will be the cube of that number. This chapter will help to make your base stronger in mathematics and by the end of you’ll be confident to handle the complex numbers with ease. It will also help you to master the multiplication and division to advanced level. Recalling Ratios And Percentages, Finding the Increase or Decrease percent, Finding Discounts, Prices Related to Buying and Selling (profit and Loss), Sales Tax/Value Added Tax, Compound Interest, Deducing a Formula for Compound Interest, Rate Compounded Annually or Half Yearly (semi Annually), Applications of Compound Interest are some of the important topics that you’ll learn in this chapter. Chapter 8 Comparing Quantities will help nurture your calculation skills and teaches you to determine percentage and interest of the numbers. Chapter 9: Algebraic Expressions and Identities further allow students to explore the world of Algebra to the fullest. 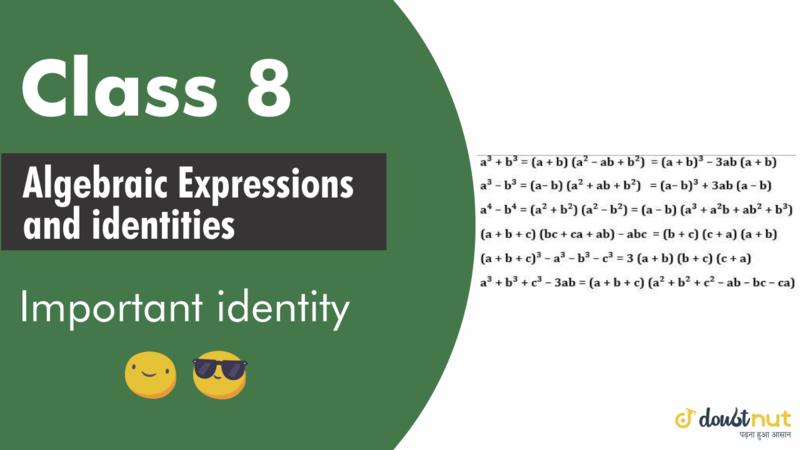 You’ll be solving some new form of Algebraic Expressions and their Identities and it’ll help hone your Algebraic Expression solving skills. In the Visualizing Solid Shapes, you’ll learn concepts and terms related to the 3D shapes. This chapter is an advanced version of class 6th Chapter 15. In this, you'll further be learning about cubes, cones, and spheres, etc. It also has strategic importance for later grades as the concepts learnt in this chapter are extremely crucial for understanding other topics in the higher grades as well. 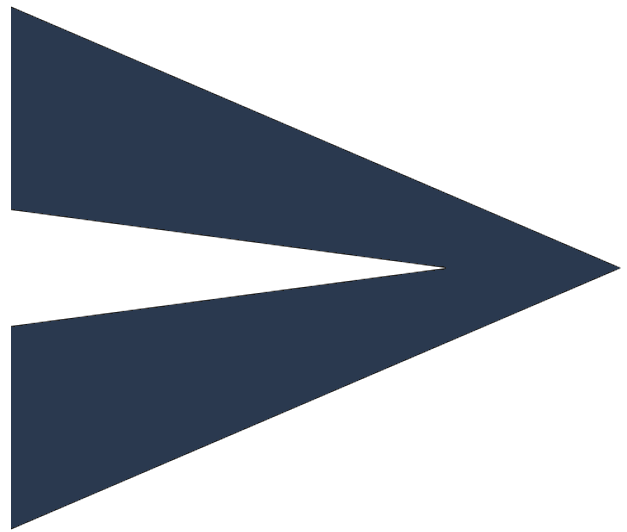 When it comes to Universal Geometry Mensuration is a very important topic. Chapter 11 Mensuration deals with the study of Geometric shapes, their area, volume and related parameters. This chapter instrumentally plays a big role in practical world applications. Direct and Inverse proportions refer to the relation between two variables and how the value of one variable varies when the value of the other variable is altered. Factorization is one of the most important parts of the Algebra. The factors of an algebraic expression could be anything like numbers, variables and expressions. Presented here are exercise wise ready solutions for all the questions in chapter 14 Factorization. The topics and sub-topics that we have covered are: Exercise 14.2 What is Factorization? Exercise 14.3 Division of Algebraic Expressions Exercise 14.4 Division of Algebraic Expressions Continued (polynomial ÷ Polynomial) Exercise 14.5 Can You Find The Error? This chapter will teach you about various forms of graphical representation of the data. In this chapter, you will enjoy learning about various types of graphs and their applications in everyday life. The Introduction to Graphs is one of the fundamental topics of mathematics and you must try to learn it by heart in order to excel in higher standards. For NCERT Class 8 Maths book Solutions Download the Doubtnut App Now! You can also install the DOUBTNUT App –India’s leading e-learning App for Maths students of all age groups! 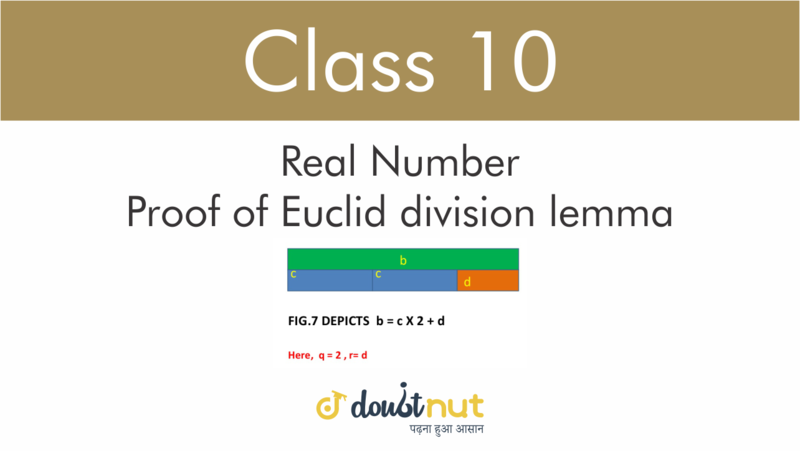 DoubtNut is offering CBSE students complete NCERT solution in video tutorial format. With our NCERT Solutions for Class 8 Maths, you can learn amazing math tips and tricks on the go either on your smartphone or personal computer.